The title really sums it all up but I'll try expand it slightly. Lets say I'm learning guitar and would like to improve my guitar work. Which of the scales should I learn first and why? It really depends what type of music you want to do; and how deeply you want to understand the mechanics of music itself. Its a good idea to learn this up and down; learn it well slowly before you start to speed up. A wise man once told me that if you never practice to play things slowly first you never learn how to play slowly. Practice it in different keys; its a good idea to find backing tracks to jam over, be musical. Note the added chromatic interval this where that classic blues sound comes from; its a good idea to try sliding into this note, or bending into it rather than playing it straight all the time; be expressive with it its the blues. If you want to take this further you could bleed over into the natural minor as the mood takes you, since it differs from the pentatonic by only two notes. These scales are all pretty interchangeable in the key of A minor; however learning the minor scale particularly give you a whole new range of options. A minor contains all of the notes of the Key of C Major, and so is rooted in C major, starting from its 6 interval (Aeolian Mode). This being the case, if you play A minor from its 3rd interval you are playing C Major. Because of this you have access to all of the other modes of the C Major Scale. If you start the A minor scale from each of the notes above, and carry on through an octave, you are playing the corresponding mode above. Each of these modes sounds good at certain times (over certain chords (their own)); each mode contains 'deviant'(from the major scale) intervals, which when embellished over the right chords really bring out the sound of the mode. So technically by 'really' leaning A minor you have learned a whole branch of music theory, actually using this stuff really opens up your playing. The stuff that I have just mentioned is the essential 'in the box' stuff. Things can get a lot more interesting if you start swapping modes in and out of your root key, from A minor to A Dorian for instance. A Dorian is rooted in G Major/E Minor, so you have the whole set of modes again from a different key signature, but you can remain rooted in the key of A.
Pentatonic/blues is a good first scale to learn if you just want to get playing. Then if you want to take your knowledge further, the minor scale is only two extra notes, and it gives you access to all of the above and a whole world more. I would suggest a major scale. Although, pentanotic and blues scales are easier, because they have less notes and easier shapes, the major scale will give you a great starting point, because all other scales are, in one way or another, modifications of a major scale. Silver Light and DRL both give excellent answers outlining scales to start out with, but I think they've missed the important aspect to choosing between the two, what type of music do you play, how do you learn, what do you want to learn? If you a rock / blues player that wants to get jamming with some friends as quickly as possible, then start with your minor pentatonic scale (often referred to as just pentatonic). It's very accessible and is used by a lot of the guitar greats of the 60s-70s. You can play it over an awful lot of music. If you want to learn music theory, start with your major scale. All music theory is based off your major scale. Absolutely all of it. If that's what you're interested in, learn it as soon as possible. Certain types of playing will absolutely need this knowledge (see Jazz and to a lesser extent Classical). 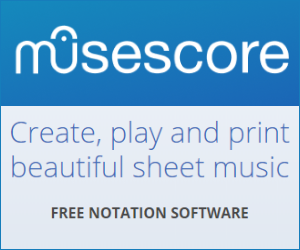 Note that your first note in each scale is the root note of the scale. Low E, 8th fret is a C, so the scale is a C scale. If you were to move everything down one fret, then you would have a B scale. One more fret, and it's Bb / A#, etc. This is one of the big advantages of learning scales and chords on the guitar, once you know one, you know them all. That being said, it's not a great place to start if you want to understand what you are doing. Although it won't hurt to learn it first either. To really understand how music in the Western world works, you should start with the Major scale because it's the starting point for music theory. It's the starting point for music theory because of the strong tension and resolution of the tritone in the V chord that is derived from the Major scale, but that's a topic for another time. It's also important to remember that you're not only learning patterns, but what these different scales sound like. Learning to recognize these sounds is arguably as important if not more important than learning patterns. Remember, you make music with your ears, not with your eyes. A one octave C Major scale in open position is pretty easy to play and to understand. If you're familiar with reading scale diagrams already, you can start by playing it and listening carefully to it's sound. It sounds pretty light and happy. If you want to understand what's going on with Major scales, it's actually quite simple. The notes in a C Major scale are C D E F G A B C. There are no sharps or flats. The notes that are not sharp or flat are called natural notes. The natural notes are all the white keys on a piano. You see how the C Major scale Starts on C (hence the name C Major) and ends on a C? This is pretty important and why it's called C.
So the next question that needs to be answered is why is the scale type "Major" and not something else. Because of the spacing between the notes. There are two distances you need to be aware of on the guitar fretboard, tone and semitone. A tone (T) is the distance of two frets and a semitone (S) is the distance of one (the adjacent fret). The distances between the notes in a C Major scale are T T S T T T S. So, the distances between the notes are what give the scale it's sound, not the notes. Try starting on a C note anywhere on any string, then on that same string moving up toward the body, play T T S T T T S. You will get a Major scale. 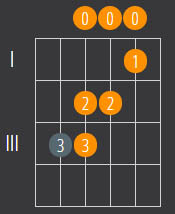 It's obviously a bit awkward to play all on one string, but it will help you understand what is happening. A lot of people will ask why any of this matters. It depends how far you want proceed with your development as a musician and how serious you are. If you just want to strum a few chords, it's probably not important. If you want be a good Jazz player, you'll need to learn this stuff. And why not? It's not that hard! The seventh mode of melodic minor. Also there are plenty of symmetric scales out there, meaning the number of modes (starting points) doesn't necessarily go up to seven. 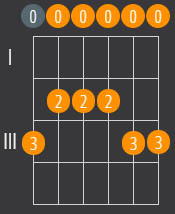 The C major scale in the first position would be an easy scale to learn first. I remember when I was 10 or 11 and I'd already learned to play all the first position chords. Then "La Bamba" came out (redone by Los Lobos) and of course I had to figure out that solo... which is the C Major scale played all in the first position. The good thing about figuring this out is that the scale already has a context - C/F/G, and it has a melody you can hum/sing and a distinct rhythm! Perfect for a beginner! How to learn guitar without physical lessons? Need Help in Starting to Learn Guitars? How to learn Jazz Bass Guitar?